Florida Knife Company manufactures and supplies knives that provide the performance you need in the food processing industry. The food processing industry has a wide array of unique needs. 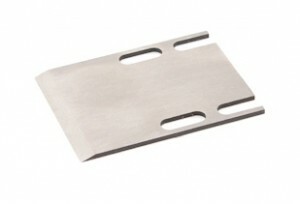 Some blades require cutting through soft tissue and hardened bone as well as everything in between. Others used in the bakery and confectionery industries focus on softer materials and are used in functions that require fine detail and finesse. Florida Knife’s professionals manufacture these blades to a razor sharp edge with corrosion resistant materials that are durable enough to retain the edge through extensive use. Whether it’s poultry, fish, meat, produce, bakery or confectionery items you are cutting, Florida Knife can deliver exceptionally crafted blades that will keep your production lines moving. We offer custom manufacturing for knife replacements and special orders. To help our clients we manufacture to customer prints or we can reverse engineer from a sample.